All stores have their policies. At Rogers Jewelers our first policy is putting you first. Let's make this easy! You'll find information on the rest of our policies in alphabetical order below. We are happy to provide you with a free insurance appraisal on your qualifying purchases. Custom jewelry is designed specifically to your needs. It is unique for you. Therefore all custom jewelry is nonrefundable and requires a 50% deposit before the work begins. Full payment upon receipt of custom work indicates your complete satisfaction. Your jewelry is precious. We recommend that you bring us your diamond jewelry for inspection every 6 months. Our jeweler will inspect the prongs to help prevent any possible damage or loss of your gemstones. This inspection service is free. 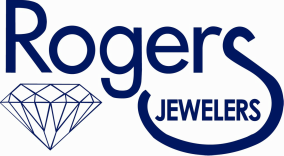 Rogers Jewelers offers 12 months no interest financing to qualified customers. Other payment plans are also available to fit your needs. Rogers Jewelers is pleased to offer a 90 day layaway plan for any item. We do require an initial 20% deposit of the total purchase including tax. Remaining payments may be made at your convenience. Any alterations and adjustments (such as ring sizing) can be made when your balance is paid off. Most can be done the same day. Has your layaway expired? We'll issue you an in store credit for the amount you’ve paid to date.